Abandoned in the jungle, little man cub, Mowgli (Neel Sethi), is found by black panther, Bagheera (Ben Kingsley), and raised by a pack of wolves. All is well until fearsome tiger, Shere Khan (Idris Elba), discovers Mowgli and threatens the lives of everyone in the jungle if they do not hand the boy over to him. Unwilling to be the cause pain and distress, Mowgli decides to leave his wolf pack. As the movie neared its release date, I felt like I was holding my breath. Yes the trailers looked good - but could the entire film live up to its name? Would we all be wishing that we were watching the original instead? How wonderful, then, to emerge from the cinema and feel the way I do now. This is a joyous, exciting and wonderful film. It is beautifully told, brilliantly voiced and introduces a superb new child actor in Neel Sethi. 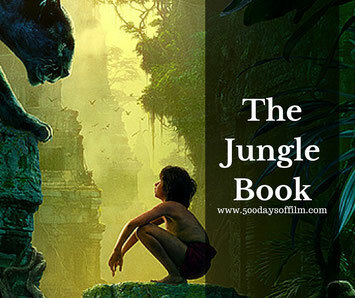 Many have called Favreau’s The Jungle Book a live action version of Rudyard Kipling’s tale. However, of course, this is not the case. Almost everything you see in this film is animated. Everything, in fact, apart from little Mowgli himself. And yet, after only a short while, I did not notice. Everything felt real or, perhaps, hyper real. The animation, incredible though it is does not get in the way of the story. In addition, Favreau has obviously taken great care over the creation of his photo real animals - they never feel fake even when they are talking (and we all know how tricky that is to pull off). I haven’t seen CGI beasts this good since Life Of Pi. Meanwhile, the jungle looks stunning. One minute it is full of beautiful colour and light, the next the palette is dark and threatening. None of this amazing animation would have worked, of course, if Mowgli did not look as if he was part of the animal world. Sethi’s performance is remarkable - it reminded me of seeing Jacob Tremblay in Room. It is amazing how someone so young can carry an emotionally powerful film with such ease. On top of that, he even reminded me of the original, 1967, Mowgli. Favreau recorded the dialogue for The Jungle Book first. He gathered as many of his actors together as possible - often acting with Sethi. He then turned the audio over to his team of animators. The voice casting in this film is pure genius. Idris Elba is superb as Shere Khan, Ben Kingsley perfect as Bagheera, Scarlett Johansson wonderfully seductive as Kaa and you can tell that Christopher Walken had a fantastic time playing King Louie. Meanwhile, the person who first suggested Bill Murray as Baloo needs a medal - that is inspired casting right there. Initially, The Jungle Book was not going to have any musical numbers. However, Favreau persuaded the powers that be to include some of the original songs. The end result is brilliant - I just love the use of music in The Jungle Book. I couldn’t help but grin like a look when Murray’s Baloo and Mowgli started to sing The Bare Necessities. There is also something special in the fact that Richard M Sherman (who was the lyricist in the 1967 movie) returned to to create new music for this film and amended some of the old favourites. Since its release, there has been much talk and concern that The Jungle Book is too scary. Some people have suggested that the film should have been given a 12A rating. Yes, this film has some scary scenes and some frightening characters. Some small children may well be scared. I even jumped in a couple of places. It is also worth bearing in mind that this film is not a U rated (ie suitable for all) movie. It is a PG, which (of course) stands for Parental Guidance. In the end, you know your own child best. If you feel that your little ones will be upset by the tense scenes in this film (often featuring large and fearsome creatures) then perhaps it is not for your family. Take a look at the trailer - it gives you a good idea of the tone of the movie. Favreau has suggested that the best way to know whether your kids are ready for The Jungle Book is for you to see the film first and then take your family. You could say that he would say that - but I, for one, would love to see this wonderful movie again! I watched The Jungle Book in 3D and, while I am no fan of this format, I would recommend that you do too. The 3D works so well that you almost don't notice it (apart from a wonderful point in the end credits) but it does ensure that you feel wonderfully immersed in the world of the jungle. Neel Sethi not only has never acted before The Jungle Book but, according to Favreau, he had never auditioned for a film before. King Louie is a gigantopithecus - the largest known apes to have ever lived. Some were 3m (9.8 ft) tall and they could weigh up to 540kg. Favreau used London-based creative studio, MPC to create the animation for The Jungle Book. They developed new ways to make animated fur and water look real. This film really is an incredible artistic achievement. CGI gets better all the time but, as good as it looks, animators often fail to give their creations heft. Not so in The Jungle Book. Those elephants both look and feel heavy and Shere Khan has real weight in those ferocious paws. Do stay to the very end of the trailers! Have you watched The Jungle Book? If you have, what did you think of this movie? Do let me know by leaving me a comment in the box below! I'm really liking what Jon Favreau is doing as a director these days. I am anxious to see what he does next.